William (Hark) Wylie, who is terminally ill, visited Yellowknife for the first time in 60 years this past week to visit the iconic Wildcat Cafe - the restaurant his father built in 1937. 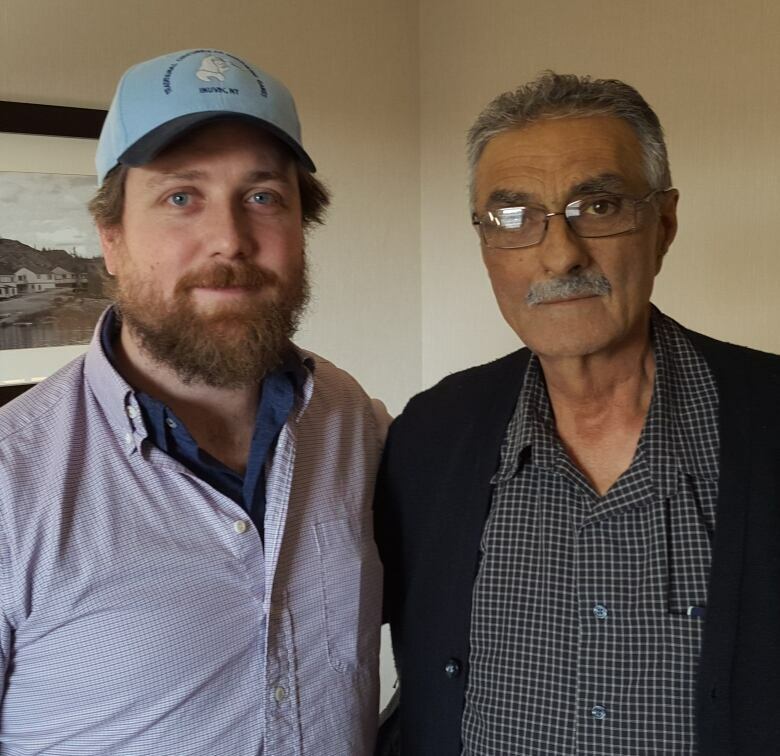 He spoke with CBC's the Trailbreaker host, Loren Mcginnis, about the experience. When William (Hark) Wylie walked into Yellowknife's iconic Wildcat Cafe for the first time in more than 60 years, he said he cried a tear or two. "It's so beautiful inside, I don't think it was like that a long time ago," the 69-year-old said. "It was just amazing." Visiting the popular seasonal restaurant in Yellowknife's Old Town was emotional for Wylie for a couple of reasons. 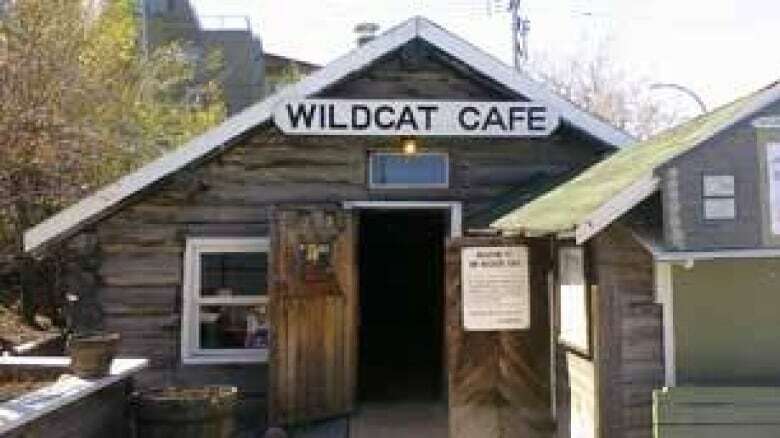 His father, Willie Wylie, built the Wildcat Cafe with Smokey Stout in 1937, when there were no other restaurants in town. Stout hired his sister to cook at the restaurant, and she became Wylie's mother. As a young boy, he spent the first years of his life in that cafe, on the road that now bears his family's name (although it's spelled Wiley). The second reason his visit to the cafe was meaningful is because he is dying. Wylie, who lives in Vancouver, said he planned to visit Yellowknife next year, but that schedule got moved up when he was diagnosed with a rare disease called amyloidosis and told he only had about one month to live. Against the recommendation of his doctor, Wylie and his best friend, Ray Duford, booked their flights to Yellowknife. It's a decision Wylie doesn't regret. "One of the highlights of my life, it is," he said. "I was so happy to come up here and see these things. And meet the people, oh my God." Although he was only three years old when he left Yellowknife in 1949, Wylie has fond memories of his time in the community. He said one of his first memories is when a bush pilot gave him a banana. "Oh, that was a treat I'm telling you." Some of Wylie's other memories come in the form of stories handed down to him, like the time his father was in a dog sled race. "Dad had a real good dog team," he said. But just before the finish line of one particular race, his father stopped and let another team pass so he could finish in second place. "First guy got a trophy, second guy got a keg of beer," Wylie laughed. "My mom was so mad, geez!" Stories and memories like those made it important for Wylie to visit Yellowknife again. And it's clear that he was touched by his visit. "It's just unreal how friendly the people are here," he said. "And you remember that." Wylie will spend his final days in Vancouver with family and friends.